Whoa! 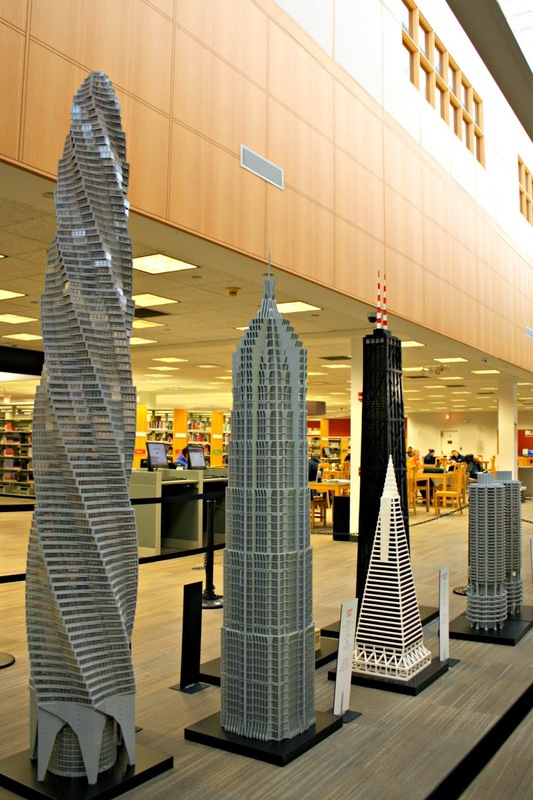 The lobby of the Arlington Heights Memorial Library has transformed into a Lego city incorporating famous structures from Chicago and around the world! The display is quite amazing with structures reaching up to 17 feet tall! While appreciating the Lego creations, you can also learn about the real structures by reading signs or a brochure that you can pick up near the display. You will definitely recognize many of the marvels! The incredible Lego structures were constructed by Adam Reed Tucker an Architectural Lego Artist, Concept Designer and Creative Developer. 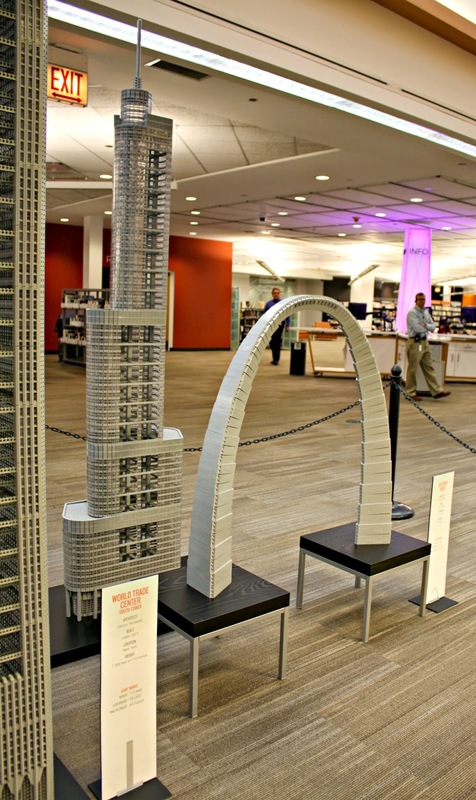 Adam's company Brickstructures partnered with Lego to bring out an innovative architectural line. Adam has a special tie to Arlington Heights--he grew up here! Amazingly, Adam does not use computer models, pencil and paper or written directions when constructing. He studies photos of the structures and artist renderings to use his knowledge as an architect of design principles to construct. Just wow! 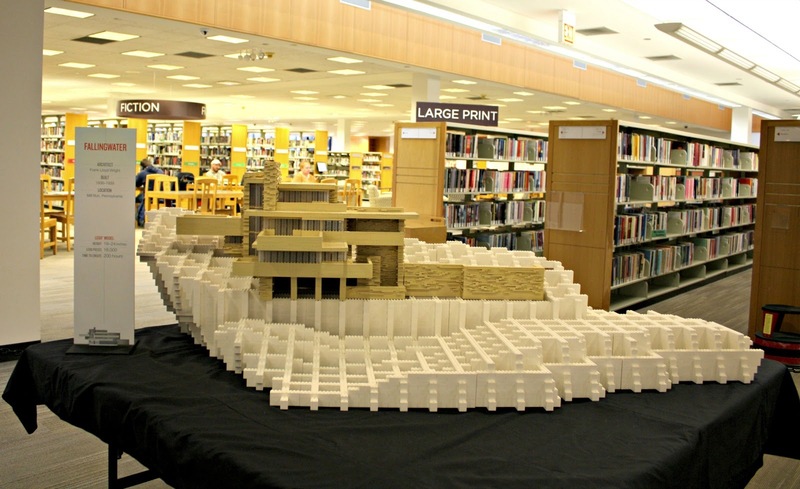 Friday, March 6: Meet the Artist--Learn about Adam Reed Tucker's process and his work as the creator of Lego's Architecture line. He will have copies of Lego Architecture: A Visual Guide and one of his limited-edition Lego kits for purchase and signing. No outside Lego items permitted. The event runs 7PM-9M. No library card is necessary but you must register. Refreshments will follow. 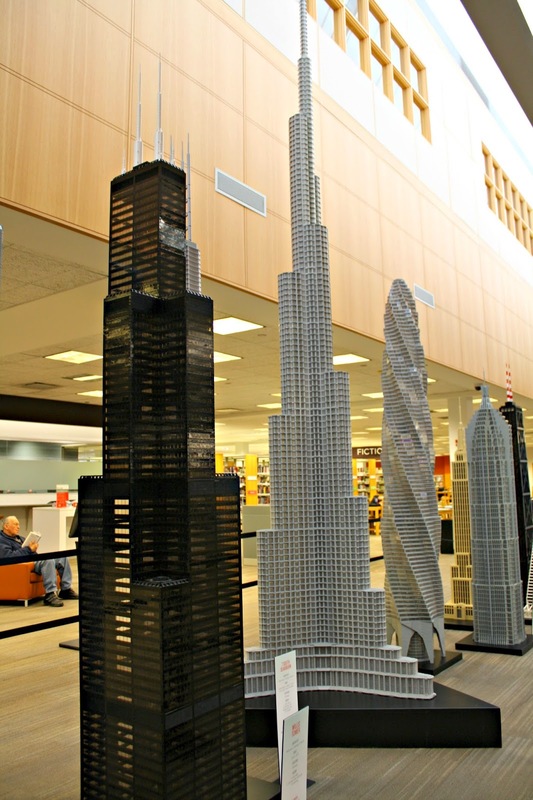 Saturday March 21 2PM-3PM: Lego Architecture Tour with the Artist-Adam Reed Tucker will give an architectural tour of the buildings including more detail about the real structure. The event is free but you must register. Thursday, April 30 7PM-8PM: Artist Demo--Adam Reed Tucker will live build while discussing his process. You must register for the free event.